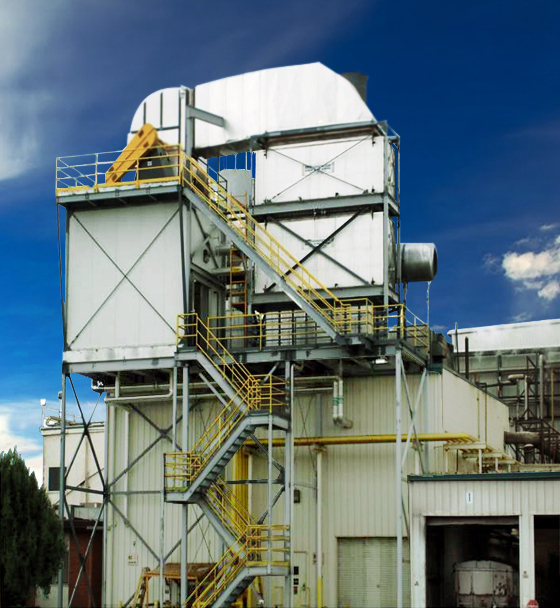 The Condex Heat Recovery Unit (HRU) from Combustion and Energy Ltd of Canada is a real no brainer for the majority of process plants producing steam. The general rule with boiler heat recovery is that the flue gas temperature should not go below 100°C to prevent localized formation of acidic condensation. Even after all the conventional boiler economizers and combustion air reheat systems there is still a considerable amount of energy escaping in the flue gases. Although the temperature of the gases may not be so high, the energy in the gases is very high due to the latent heat locked in the water vapour (by-product of combustion). For this reason boiler efficiencies are rarely above 85% and typically 82%. The Condex HRU breaks is designed to operate at temperatures below the dew point and so a large amount of the latent heat in the exhaust gases can be captured. The big advantage of the Condex HRU compared with other types of direct contact heat recovery units is that the Condex HRU also recovers the sensible heat component of the gases too. A typical example of a Condex application is to heat the softened water before entering the de-aerator. Typically softened water will be at ambient temperature e.g. 18 °C and the Condex unit can preheat this to over 90°C. Normally steam would be required to raise this water temperature from 18 to 105 °C and so by preheating it to 90 °C there is going to be a massive saving in the deaerator steam consumption. Alternatively the Condex unit could be used to preheat process water. Either way the Condex unit utilizes ‘free’ lost energy to displace live steam and so reduce the overall energy consumption of the boilers. 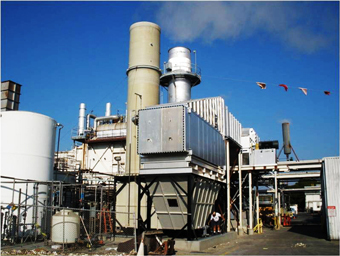 By capturing the large quantity of heat from the boilers the boiler efficiency can be raised to over 95%. The Condex HRU can also be used for capturing energy from other hot process streams e.g ovens or drying systems. The great point about the Condex HRU is that it is completely unobtrusive in regards to the operation. Once set up, the system self adjusts and requires zero input from operators even if the process conditions change. 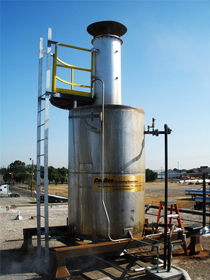 If you would be interested in a study of your generation or process plant then please contact us.